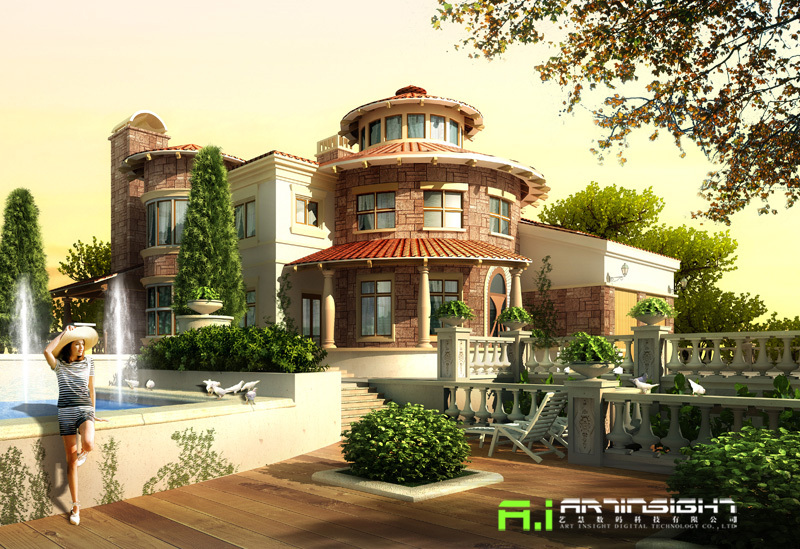 This is a work done by A.I.CG (Art Insight Digital Technology Co., Ltd). I like the colors and illumination. Thank you. I am really glad you like it. This is very nice ! This is very interesting and really looks real. I like the structure of the villa. It is very futuristic while the foreground looks classic. The two parts nullify each other in a special way that it would capture one's eye. Great mood in this scene; everything's bright and crisp. Great render with lots of nice details. Good work. Love the modeling design, its very interesting to look at, I wish I had a house like that. The colors are spot on. Makes it feel very paradise-y and relaxed. Especially the sunset and woman there. Beautiful! So detailed, and I love the colour. Great light!!!! This work what is the time borrowed?